Singapore Blinds & Curtains: Choosing Curtains Or Blinds For Your Home? Choosing Curtains Or Blinds For Your Home? Keeping the house beautiful is a project that bothers most. This is because, the type of furniture, blinds and curtains used in displays the living style of the individuals residing in it. One of the tough selections for the house owner is buying curtains and blinds. There are various types available in the market, with vibrant designs and colors that dumb folds the individual. Hence, there is no exact formula to be referred to while meeting the requirements of the rooms in the house. Furthermore, the taste of human beings differs from one another. One person might not like a thing that the other person likes. This is why, it is very important to have all the members of the family to gather together to decide on the type of curtains or blinds to have in the house. 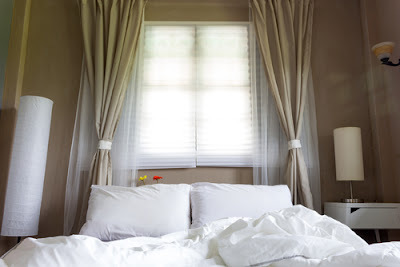 Having the right curtain and blind not only beautifies the house, but also adds joy to the members when looked at. Curtains have always been the popular choice among people of all ages throughout the globe. They are known to give the room an additional décor through their various designs and colors. If matched with the windows and doors and the color of the room, they would provide the perfect décor that would be simply outstanding. While selecting blinds for the home, it should be understood that it provides a versatile look, which offers a better privacy level. Furthermore, the blinds help the individual to enjoy a luxury of additional control. For instance, the individual can determine the amount of light to be let into the home, simply by adjusting the blind lengths. It is very important to select the right type of blinds or curtains for the home as it could simply break or make the interior designs of the room, whether it is in a house, restaurant or an office. They make the look to be more comfortable and sophisticated. An alteration in the blinds or curtains of a window could make a huge difference in the entire atmosphere. Homeowners facing financial constraints can simply get their windows fixed up and change the interiors changed at a lesser cost. Blinds and curtains, both are considered functional and aesthetic as they retain the privacy of the home and at the same time, improve its interiors. It also tends to keep away the prying eyes and dust. Individuals valuing privacy should prefer curtain shades and are extra thick so that it allows them to shield against outsiders. Family members who have allergies, should prefer vinyl blinds as it could be easily wiped with a clean cloth regularly. There are plenty of varieties of curtains and blinds available in the market and one can also order them from the different websites and have them door delivered without much hassle or compromising on quality. Some house owners tend to use both blinds and curtains for every window in the home. This simply means that the individual while maintaining privacy can experiment with various design concepts.